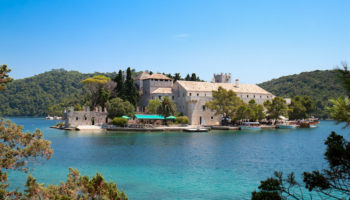 This island off the Adriatic Sea was inhabited for almost a millenium by Benedictine Monks, who named it Lokrum, for the exotic sour fruits they cultivated on the island. This was followed by the creation of a large mansion and botanical garden by the Archduke Maximilian of Austria in 1859. Today, it is accessible by a 10-minute boat trip from Dubrovnik, and is a must-see for garden lovers. The botanical garden here is exquisite, and the nearby mansion of the Archduke a great tour. 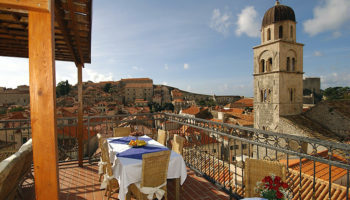 The ancient monastery is damaged but now used as a restaurant, but still worth a visit. Walking paths make the whole island easily accessible, and for those who are so inclined, the southeastern edge of the beach is popular for nudists. This Dalmatian island is one of the larger in the archipelago, and hosts several coastal and inland towns. 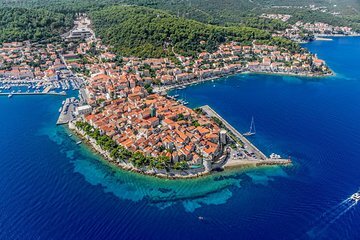 Korcula is an excellent place to discover some of the most scenic beaches in Croatia. They are not sandy, so be certain to bring proper footwear. 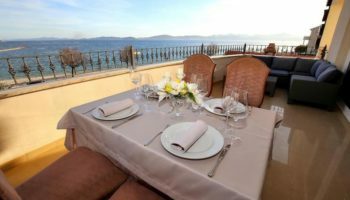 However, they are an excellent location to snorkel and kayak, and rental locations for proper equipment are easy to come by in all of the coastal towns. The island’s main town, Korucla Town, is a historic, walled town with Venetian Renaissance architecture, colorful markets and plenty of tourist facilities. History buffs will enjoy visiting the birthplace of the famed world explorer Marco Polo here. 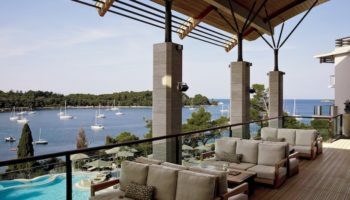 Of course, simply exploring the quiet countryside and traditional Croatian lifestyles has its own rewards, and this is an excellent place to start. This nearby coastal town is older than Dubrovnik, and the source of the refugees who founded it. It is accessible by ferryboat, and is a great place to spend a day or two enjoying the quiet sea air, beautiful architecture, and coastal atmosphere. The seafront here is full of a variety of shops and restaurants, and an easy and fun way to spend some time. Art lovers will be pleasantly surprised by the large number of pieces by modernist Vlaho Bukovak dispersed throughout the city. 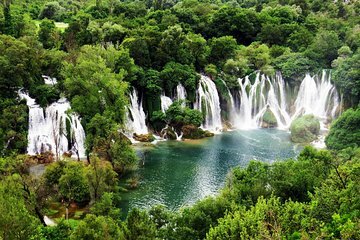 This national park on the volcanically created island of Mljet is one of the most spectacular nature preserves in Croatia. Vast forests, uninhabited coastlines and quiet lakes and inland seas (one with an old monastery on its island) abound in this park, and make it a lovely place to explore by bike or on foot. A catamaran service from Dubrovnik operates twice daily to get here and back, and bikes are available to rent when you arrive. There are hotel accommodations in the town near the park for those who want to spend several days exploring, as the park is only on a portion of the island. Ston and its little neighbor Mali Ston is located 50 km (30 miles) northwest of Dubrovnik on an isthmus that connects the Pelješac Peninsula with the mainland. Formerly part of the Republic of Dubrovnik, Ston was and is, even today, an important salt-producing town. 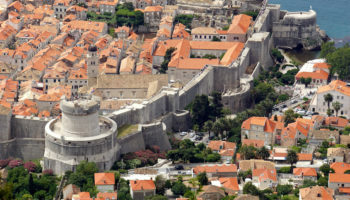 Its economic importance to Dubrovnik led, to the construction of a huge wall in 1333. Still one of the largest holdfasts in Europe the wall was fortified with forty original towers and five fortresses surrounding a cluster of Medieval buildings. The walls stretch much of the way across the small isthmus atop the peninsula where Dubrovnik sits. 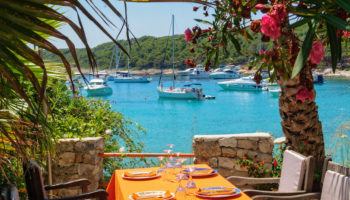 An easy ferry ride away from Dubrovnik’s Gruž Harbor, this Adriatic archipelago is great for those who prefer an unspoilt getaway. 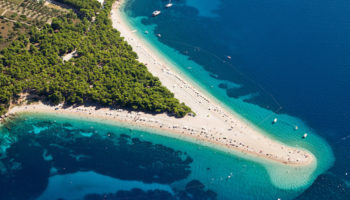 This small group of islands only has a few thousand inhabitants, who live on the three largest islands (Koločep, Lopud and Šipan), with the remaining islets being small and uninhabited. Each of the inhabited islands has a modest tourist trade with restaurants and shops. The remaining islets are great exploration for those who love nature or history. Lighthouses, abandoned monasteries, bird preserves, rocky beaches and lots of fun are available for those with a boat and a sense of adventure. This Bosnian town, about a 2 hours drive from Dubrovnik, is a trip into a storybook, as the architecture brings you back to a time of castles, dragons, and wizards. The most celebrated bridge in Eastern Europe, known as Stari Most, is worth the trip by itself, arcing beautifully across its river between tall towers. Shoppers will love to haggle in gold alley, where there are all sorts of trinkets both precious and fun to be had. The Balkan wars of the nineties did not leave Mostar untouched, and scars of the conflict are still visible though most are far from the cobbled streets of the attractively restored Ottoman quarter. 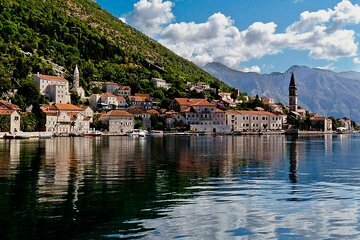 One of the most popular day trips from Dubrovnik, the bay of Kotor, known to locals as Boka, is a long sleepy inlet off the Adriatic sea in southwestern Montenegro. Often mistaken as a southern fjord, this is actually an extinct river from the old Orjen plateau. Today, it has four separate gulfs and a number of ancient towns, as well as a few newer settlements. The water is spectacular for those who just want a water tour. If you go on land, of special note are Herceg Novi, a twelfth century town at the opening, the fortified city of Kotor and the picturesque city of Perast with its two small islets. There is no bad place to stop, however. With castles and gardens, monasteries, ancient buildings and much more, every moment in this bay is timeless, picturesque and breathtaking.